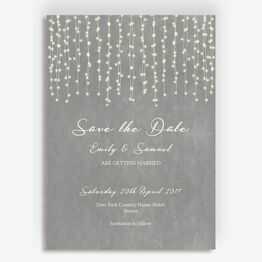 This stunning range of wedding stationery is perfect for couples who want something simple and elegant for their invitations. 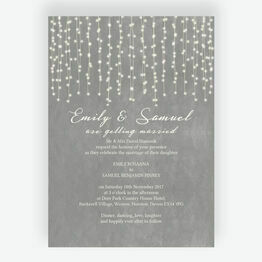 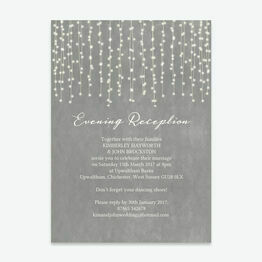 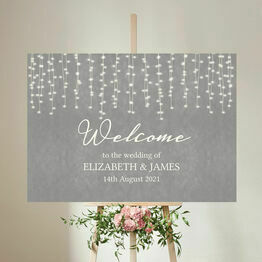 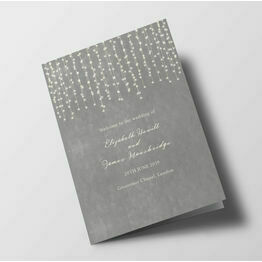 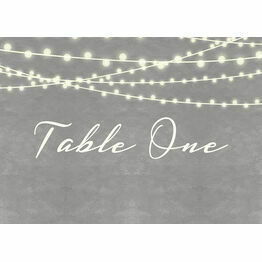 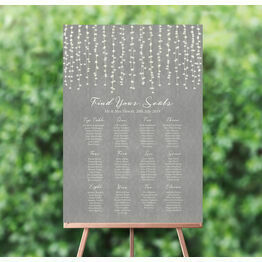 The textured-effect dove grey provides the perfect backdrop for the fairy lights, while the elegant fonts help convey your message perfectly. 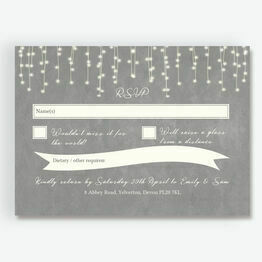 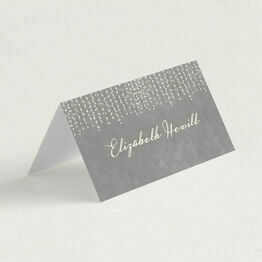 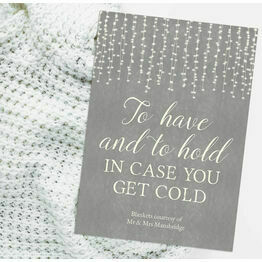 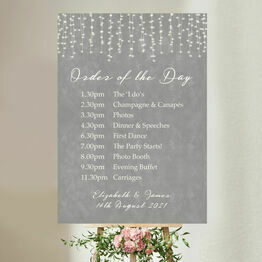 All stationery is available as a printable PDF or professionally printed.